Crucial has been doing very well in the client SSD market during the past year. Crucial's/Micron's ability to quickly roll out the 16nm NAND node definitely paid off because the MX100 really nailed it when it came to cost and overall value. The MX100 set a new bar for mainstream SSD prices while still providing solid performance in typical client-level workloads. It gained a strong recommendation from us and has remained at the top of my "what to buy list" for nearly a year now, and honestly it has been one of the most popular mainstream SSD during its lifespan. Back at CES Crucial introduced some fresh faces to its client SSD lineup by announcing the MX200 and BX100, which are replacing the MX100 and the aging M550. The MX200 is essentially a retail version of Micron's M600 that was launched last year and which we already reviewed, but the BX100 is a totally new product from several angles. 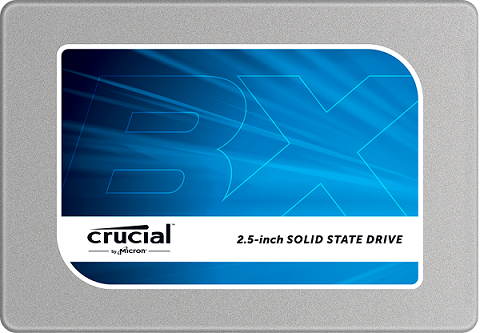 First off, the 'BX' series is new to Crucial's lineup and denotes a budget-oriented drive, whereas the 'MX' brand is kept for higher performance drives. 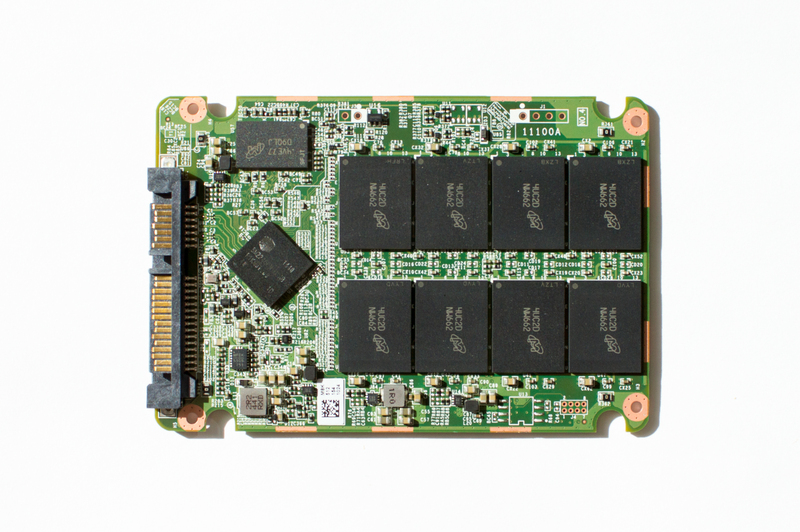 It has become a common strategy in the SSD industry to offer a mainstream drive that focuses solely on cost along with a higher performance model with better feature set for the enthusiasts and professionals. Crucial already kind of had that strategy with the M500 (later MX100) and M550, but the two lacked any real differentiation in both performance and feature set, so the BX100 and MX200 are here to fix that. The BX100 isn't Crucial's first try with a low-cost drive as some of you may recall the infamous Crucial v4, which was frankly one of the worst SSDs I've ever reviewed. It looks like Crucial learned its lesson because we never saw a successor to the v4. Fortunately the BX100 has a lot more potential as is powered by Silicon Motion's SM2246EN controller. Crucial/Micron worked closely with Silicon Motion to develop the firmware for the BX100, so the firmware is unique to Crucial and we won't be seeing it in any other SM2246EN based drive. I've covered the technical details of the SM2246EN controller in our ADATA Premier SP610 review and our tests have shown that it's an excellent controller for mainstream client SSDs, so on paper at least the BX100 shouldn't end up the same way as the v4 did. 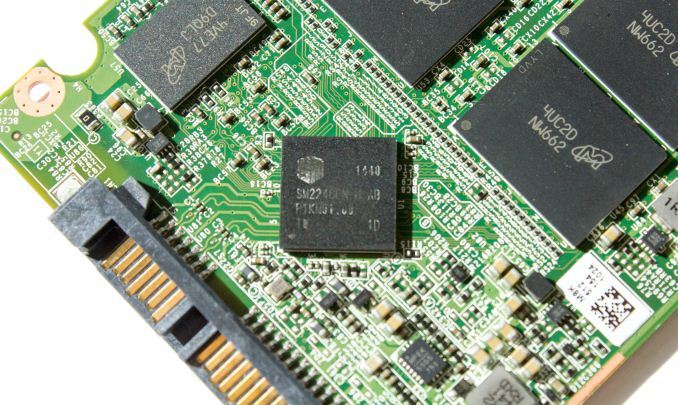 Generally speaking Silicon Motion has been gaining a lot of market share lately and the new partnerships with Crucial/Micron and SanDisk has made the company become a tier-one controller manufacturer. Since Crucial's motivation behind the BX100 is to differentiate the product lineup, the BX100 doesn't have the hardware encryption support that we got used to with the previous drives. While the SM2246EN is capable of supporting Opal encryption, it makes sense for Crucial not to include it in the BX100 because there's always additional validation costs that go along a feature. Besides, the MX200 has full encryption support and obviously Crucial wants to guide the buyers who need the feature towards the more expensive (and likely higher profit) MX200. The BX100 does however have the same partial power loss protection that protects against lower page corruption during sudden power losses (I suggest you read the M600 review for the full details of Crucial's power loss implementation). The implementation itself is a bit different from the Marvell based drives (I don't have the details, but I suspect it has to do with the SM2246EN controller), but the design provides the same >200µs of holdup to ensure that ongoing upper page programs won't corrupt the data in the lower page. The BX100 is using the same Micron 16nm 128Gbit MLC NAND as the MX100 and MX200. I covered Micron's 16nm NAND in more detail in the MX100 review, but in short it is a die shrink of the 20nm node and utilizes the same high-K dielectric cell structure which is likely the reason why Micron was able to roll out the 16nm so quickly with good yields (whereas Toshiba/SanDisk seem to be having issues with their 15nm node since it has yet to find its way into a shipping product). With the BX100, Crucial is moving to user capacities that are similar to Samsung's EVO SSD series. That gives the BX100 a little more over-provisioning over the traditional 2^n capacities and I also suspect that even hundreds like 500GB are easier to market than 480GB or 512GB given that consumers are accustomed to hard drive capacities.